Having a website is a necessity for all business owners these days. The thing is, maybe web design isn’t your cup of tea. You want to provide quality lodging and outfitting for anglers and hunters in the great Ontario outdoors, and keep the focus on that. Unfortunately, an inadequate website that is hard to manage can seriously hamper your business’ potential. A fantastic website full of enticing content on the other hand, can be very well worth the effort, making you visible to millions of people. Once that’s taken care of, you can direct all your efforts to managing your resort. Due North Marketing has been around since 1996, before most people even knew what the internet was. In our long existence, we’ve been servicing our clients’ every needs. We create your website; professionally, aesthetically, amazingly. 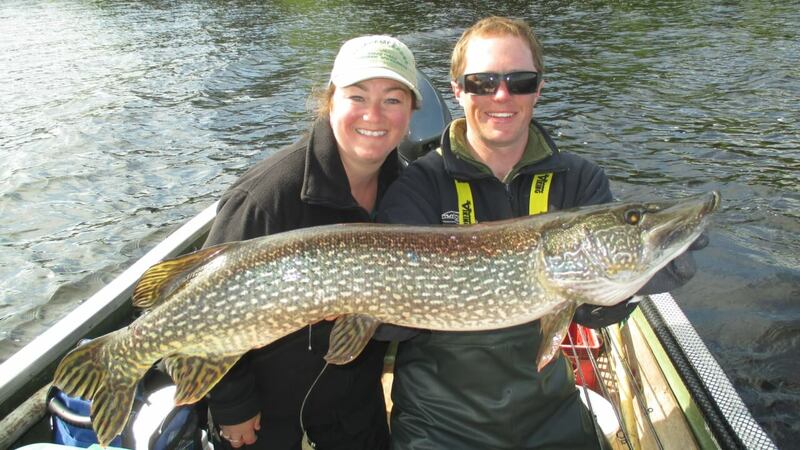 Monique and her 42″ northern pike! 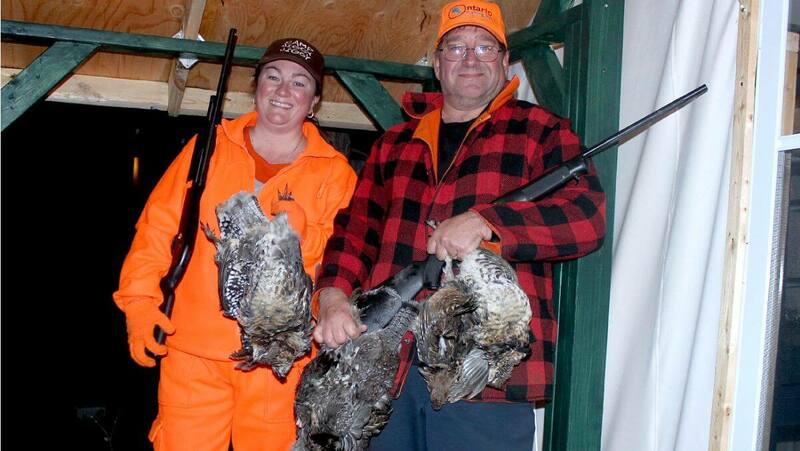 Monique and T.J. and a good days grouse hunt! Our 20 years of experience offers you a guarantee of quality – we practically invented our line of work. 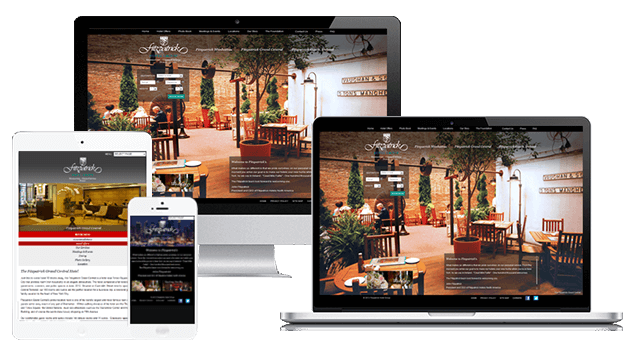 We know your guests better than anyone, because we are your guests – your website will be built by longtime outdoors people, who know what your customers want. We love the outdoors as much as they do, and if we build it, they will come. Be lightyears ahead of your competitors with our innovative website design. Optimization for mobile platforms guarantees top Google rankings, giving you high online visibility. 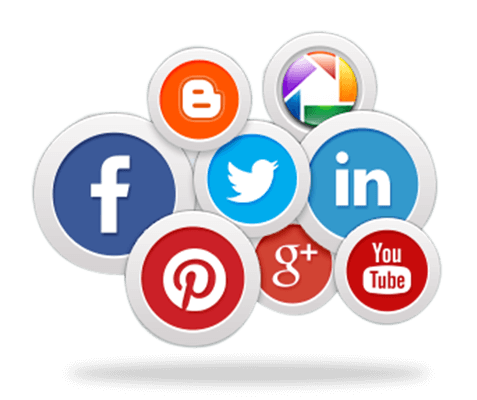 We also supply you with powerful, yet easy to use tools to manage your web page and add new content and media – so your guests are updated on all the latest news. We keep tens of thousands of people updated on our clients’ activities through our Facebook pages Ontario Hunting, Get North and the Ontario Fishing Network. Don’t spend money on expensive and ineffective advertising – we bring all these people to your online doorstep and show the world what you have to offer. Just as you do your very best to guarantee your guests a pleasant trip, we do ours to make your online stay as enjoyable as possible. Your website should be a profitable asset, not an annoyance. We keep everything running smoothly, so you don’t have to worry about all the technical stuff. You get the best service there is around. No hassle, just quality design. Google Maps Integration – clients can check out your location and surroundings, and take a good look at your resort. We have been doing business with Due North Marketing since we had our first lodge. Now we are well over 1000 miles away, running a new Lodge (Shoal Lake Lodge) but still use Due North Marketing. They have helped us since the start and will be with us in the future as they do the best job hosting and keeping our sites up and running and promoting them. Any time we need changes or help they are done fast and done well. Keep up the good work! The Due North Marketing network of web sites have generated more sales leads for Kesagami Wilderness Lodge than all of our web marketing campaigns combined. We are very happy with the ease at with which we receive the leads and the contact information that is provided. When we purchased our resort several years ago, our website was disorganized and confusing. We were nervous about hiring a new web designer, and not sure if the cost would be justified. Due North took all our worries away and designed us a site that is user-friendly and attractive. We receive many compliments from guests and the reservations come easily once they view our site. The internet is our main source of advertising, and Due North’s marketing efforts have worked great to keep the leads coming. We feel confident that we’re in good hands” – thanks T.J. & Monique!